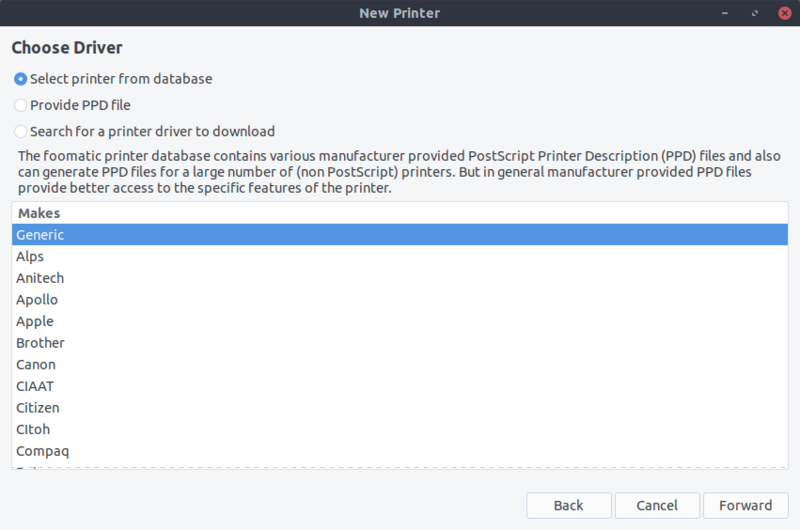 Ubuntu 18.04 seems to have a harder time auto-installing/configuring our office printer. As a result users were unable to perform certain printing tasks, like duplex printing. 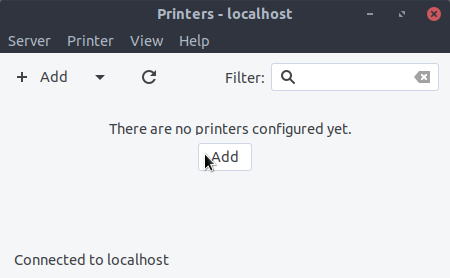 It turns out that the auto-config is based on ZeroConf being turned on at the printer AND the computer ends. In order to fix it, I turned off ZeroConf (Rendezvous/Bonjour) on the printer (which broke the iMacs printer setup) and went through the process of manually configuring the printer settings on the lab machines. I then bundled it in to the hcmc-conf package and rolled it out to the lab. 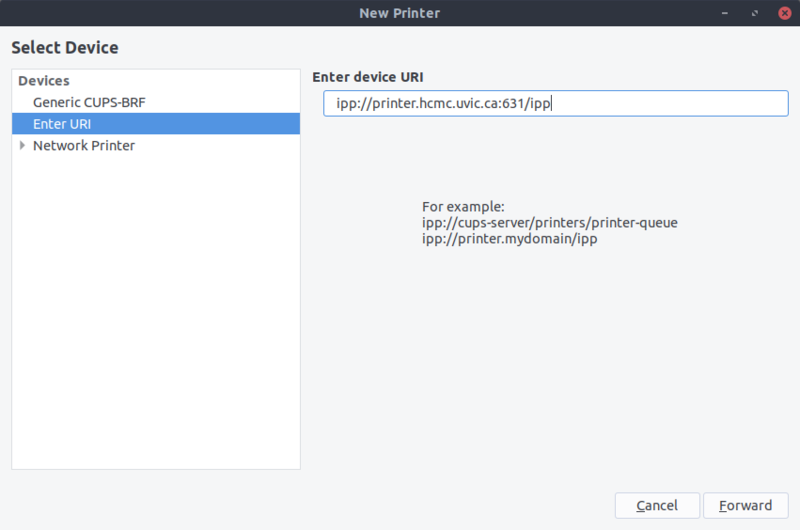 4) Select "Enter URI" from the menu on the left and enter "ipp://printer.hcmc.uvic.ca:631/ipp" in the "Enter device URI" field. Click "Forward"
5) The system will look for drivers and present you with some choices. 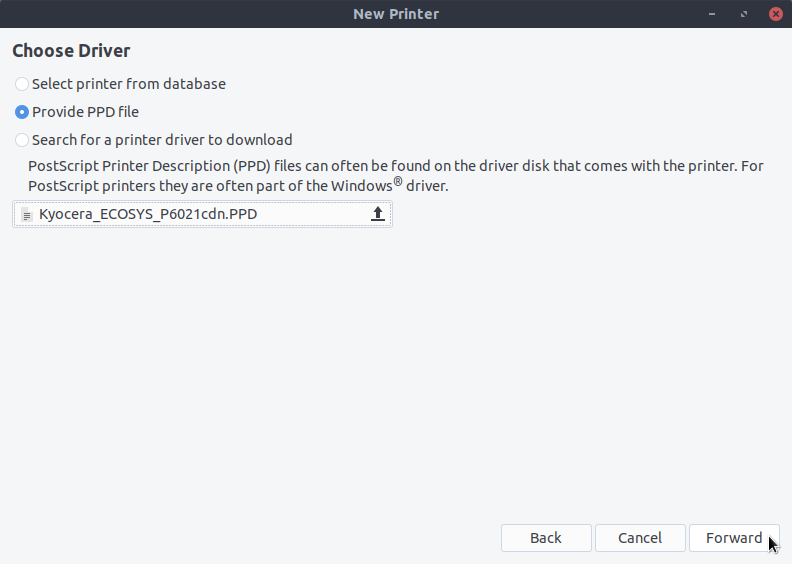 6) Select "Provide PPD file" and browse for the PPD file you downloaded in step 1. Click "Forward". 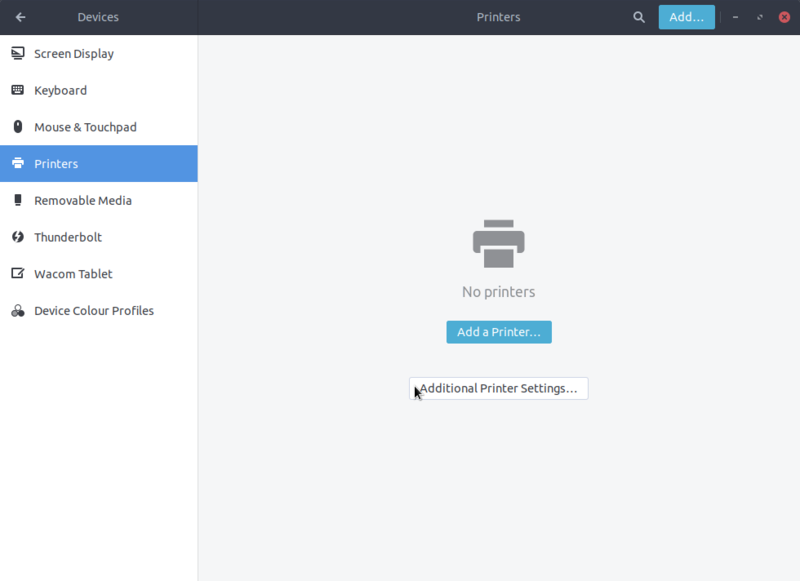 7) Continue through the setup to customize your default print settings. FF Dev updated itself, created a new profile and somehow my copy of FF Prod ended up pointing at the dev profile. (i.e. all my bookmarks, plugins, history etc. "disappeared"). To tell FF which profile to use. Press Return. The Firefox Profile Manager (Choose User Profile) window should open. Placeholder for info on using Keyman keyboards on Linux using KMFL framework provided by SIL. A full tutorial will be added eventually. CyanogenMod has been replaced by LineageOS, and there is an unofficial Nougat ROM available. To install it, hold the power, volume up AND volume down buttons simultaneously until you see the Google boot logo, then release the buttons. Once you see the little droid dude lying down with his guts open, use the power button to select Recovery Mode and boot the tablet in to TWRP. Once in TWRP, plug it in to your computer. It should find the tablet and mount it. Copy the zip file containing the ROM to the root of the drive (labelled 'Internal Storage'). Also copy in any other stuff that you can/must flash (like GApps). In TWRP, select 'Install' and choose the ROM zip file and use the slider to indicate that you're serious. Once flashed, run the 'Clear Dalvik cache' and go 'up' and run the install again, this time on the GApps image. You should be able to boot in to the new OS now. JA called to report that the config on the CCAP db had been hosed by the visit of a robot to a specific URL, which triggered something completely unexpected and unwanted. He was able to recover it, and add protection against a similar event both on CCAP and on LOI. The AtoM documentation is apparently not working properly so we can't find anything on their site about this particular "feature". The lab is now running Ubuntu 16.04. One new thing is that I had expected PXE booting to 'just work', but it's been a bit hit-and-miss. I have no clear understanding why, but I might be able to find out by comparing UEFI/BIOS settings on the machines to find out what the differences are between machines that CAN PXE boot and those that CAN'T. The machines have two distinct motherboards (ASUS H81I-plus and ASUS H97I-plus), and there are slight differences between the models' UEFI/BIOS. NOTE: F8 should boot the machines to a boot menu that contains UEFI network booting. As it's a sudo command you'll need to provide an admin password. Ports are listed starting at the pillar with the red tape and moving around the room counter clockwise, separated by panel. Spent much of the day working on this bug, which although it afflicts our TEI plugin, actually seems to be caused as far as I can see by a Saxon bug; but there's something about running Saxon in the Oxygen context which makes it happen, while running exactly the same transformation command outside of Oxygen does not fail. No solution yet; we've rolled back the plugin release for the moment.